What is it with us and celebrity crushes? Why do we feel the need to project that much feeling (some people become really intense) on one person that doesn’t even know we exist? We change our wallpapers, fill our Tumblr feeds with them and cover our rooms in posters portraying those hunks handsome men. Is the world we live in really that bad that we need to mentally date a celebrity who doesn’t even know we exist? I’m a great lover of beauty in general so I’ve obviously had multiple celebrity crushes – some greater than others. Lately, however, I’d jumped off the celebrity crush bandwagon and had decided to transform those into a type - seeing as I’m embracing the whole becoming-an-adult process. If someone would ask what my type was then I’d show them the few, yet iconic, celebrity crushes that I’ve really been into. I would see that as a mature way of saying I absolutely love those men and I think they’re gorgeous. However, something happened a few days ago. Something that made me seriously question my resolution. The one thing that I’ve really missed since leaving for Uni (besides my family and friends, obviously) is going to the cinema. I used to go quite often when I was at home, mostly during winter when the weather wouldn’t allow a lot of variety in our activities. London however is a totally different story when it comes to cinemas – they’re so damn expensive! I don’t mind paying what something is worth but all the cinemas I’ve seen there are so small and quite old and to pay £15 for that is insane when a ticket in Bucharest wouldn’t go beyond £4. So, naturally, one of the main things on my list for this Spring break was going to the cinema. So I went to see Divergent, a movie everyone’s been talking about lately. I really had no expectations, from what I’d heard it seemed to be a sort of Hunger Games, a typical fiction and action movie. But boy oh boy do the best things come when you least expect them! Okay, so it all started nicely, interesting plot, new perspective, Shailene Woodley which I like and just the bit of action it needed. But, half an hour into the movie, maybe less, there’s this initiation process some characters have to go through – jumping from a building into what seems like nothing. 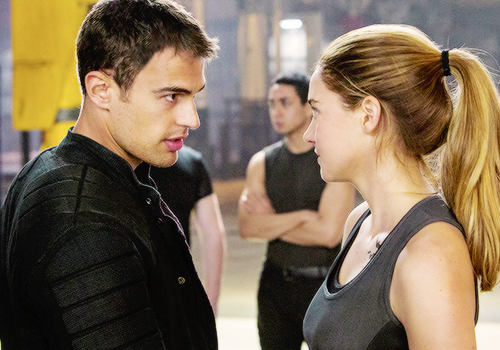 Obviously, as expected, Tris, the main character volunteers to go first. And then she falls and guess what? There’s a net underneath. That’s not my point however. So she falls and there’s this voice saying ‘What, did someone push you?’ And then, I swear, I felt like I’d fallen too because I did not expect what I was about to see. Boom, close up on Theo James’s face. 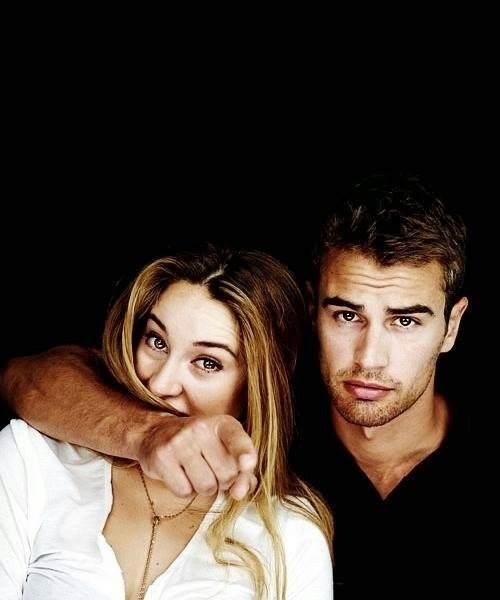 If you don’t know who Theo James is, don’t worry, I didn’t either. He’s the lead actor in Divergent and he is damn gorgeous. That’s all you need to know for now. Take a moment, drool over his bone structure and come back and read the rest of the article. Obviously, from then on, every time he showed up on screen the whole theatre would swoon and sigh. I did what any other normal girl would do and checked Imdb to see where he’s from and how old he is and my excitement rose even higher when I saw he’s actually a Brit. I guess what I’m trying to say is that no matter how old we are we still get these crushes and drool over celebrities even if we maybe don’t show it like we did when we were 15. I think it’s nice and pathetic in a way, just because you know that person’s always going to be there, in your Photo Library. And your iPhone’s wallpaper. And your laptop’s background. And the locket that no one knows it actually opens and has his picture inside. (Okay, maybe that’s a bit too extreme but you get my point) We all need our moments of watching Youtube videos with their interviews or seeing the films they’ve starred in way too many times but after that, girl, it’s time to get back on your feet and face real life. But before doing that, tell me, who’s your celebrity crush? 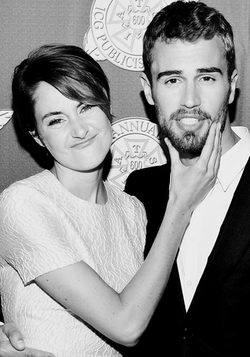 Even Shai's all like: "Look at him, he's gorgeous"